A great pair of Fins with Adjustable heel strap to a fit a range of sizes. 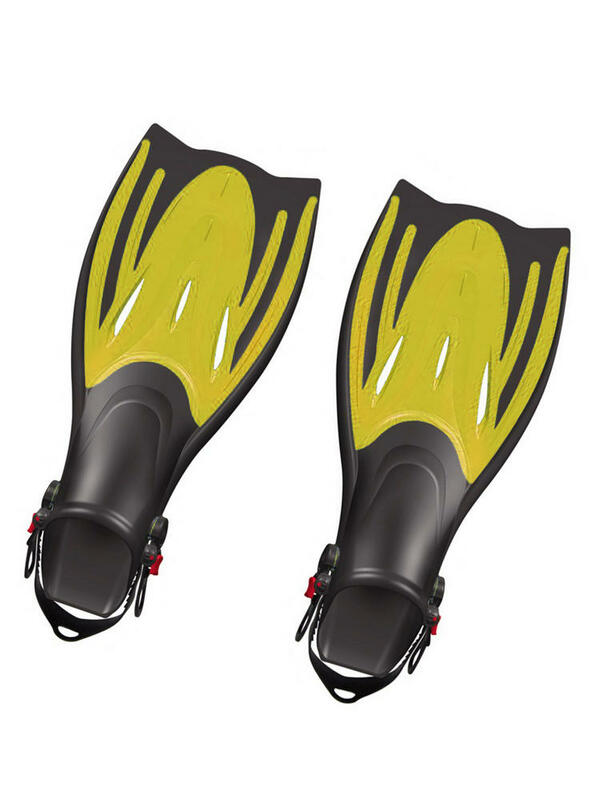 These fins are lightweight making them ideal for taking on holiday. 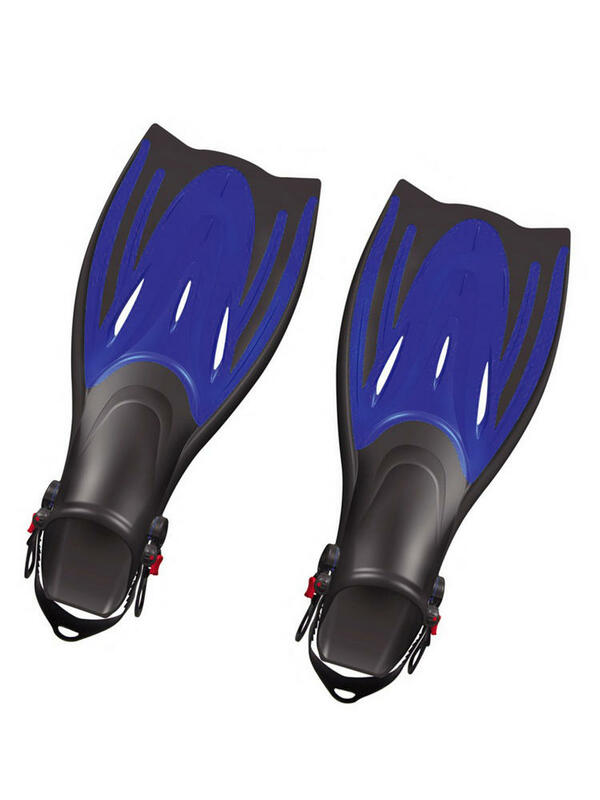 Suitable for Water based activities in the Sea or Swimming pool. These excellent Childrens fins from Typhoon come with adjustable back so they fit a range of shoe sizes. Ideal for water based activities both in the sea and the swimming pool. They're easy to get on and off and are compact and lightweight so great for going travelling or going on holiday. 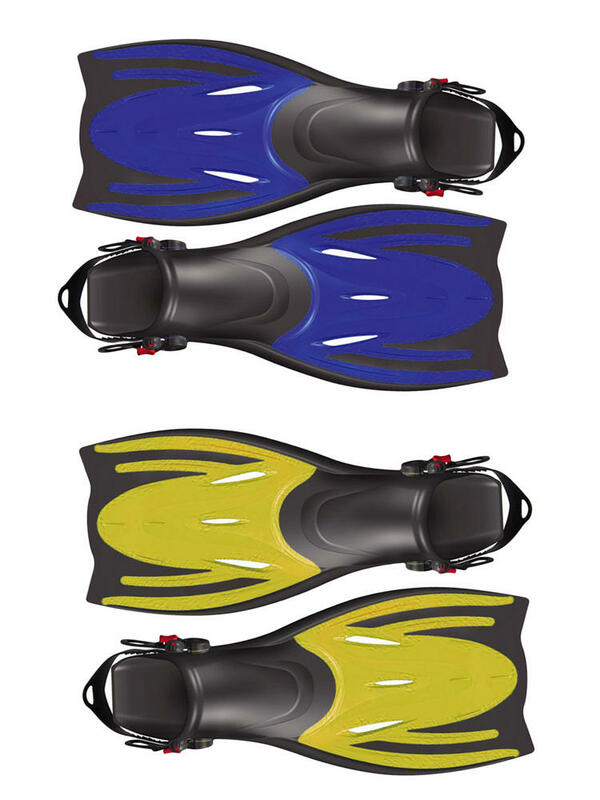 The fins feature a dual composite design for strength and super-soft foot pocket for extra comfort.